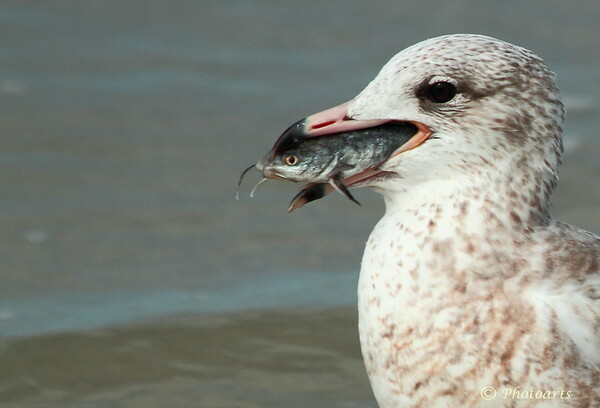 Harring Gull has fish for lunch on Florida coast. A great catch for both of you! Well done close up capture. Great closeup....did you hand him the fish? !